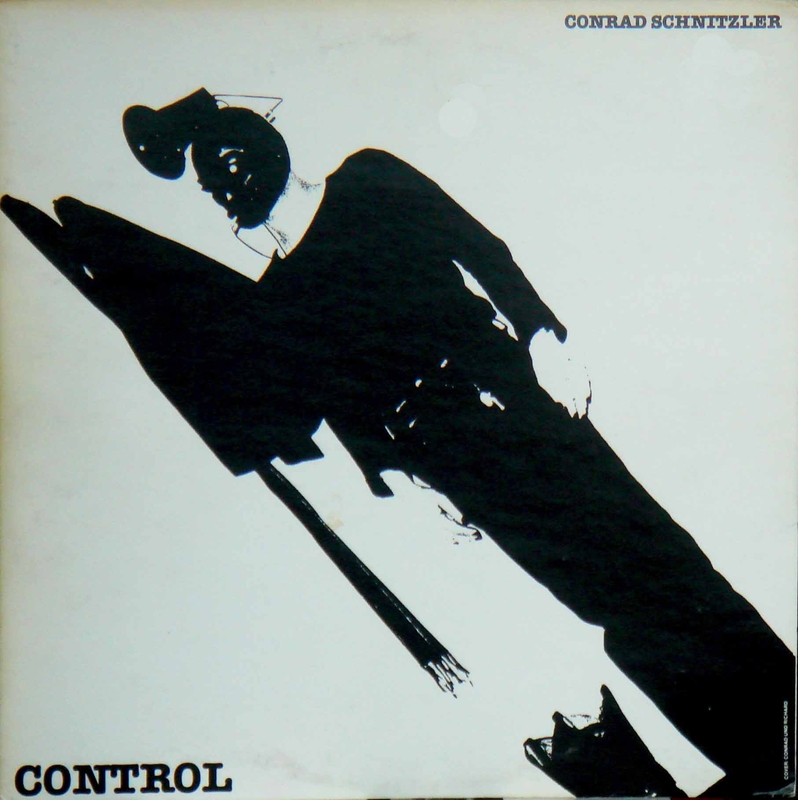 Originally from Düsseldorf, Conrad Schnitzler debuted as a sound artist around 1967. After studying with Joseph Beuys he moved to Berlin, when he was often associated with the local school of electronic rock even though his soundscapes were never “rock” and his aesthetic was always too idiosyncratic to be pigeonholed. In his most successful recordings, Schnitzler showed predilection for range compression that was unusual in the early days of analog synthesizers. It is as if he had done a careful scoping study before each session, imposing restraints on the adopted textures and energy levels. Nor did he seem to be tempted by excessive multi-layering of additive effects. His strength lied in poised tone colorings and controlled mood explorations. His forays into illustration were quickly abandoned and throughout most of his career his music remained subconceptual and non-ascriptive. Schnitzler’s creations went through several stages. Beginning with Berlin-based trios Kluster (with Joachim Roedelius and Dieter Moebius) and Eruption (with Wolfgang Seidel and Klaus Freudigmann), his spacious, psychotropic work relied as much on musical instruments as on amplifiers and echoes. He then moved on to explore in depth the modulatory capabilities of analog synthesizers, achieving much more groundbreaking and lasting results than many of his compatriots. An artistic hiatus befell him in the second half of the 1970s, when several misguided attempts at electronic rock introduced him to accidental audiences in Germany and abroad. But unlike the synthesized disciples of the Berlin school, he returned triumphantly in the early 1980s, penning some of the most intriguing and abstract oeuvres yet. Ever open to experimentation, he engaged in collaborations with new generations of German musicians and then moved onto the digital age, still occasionally leaving recordings which testified his undying tonal curiosity and penchant for deft sound organization. Each side of the original LP is divided into several, untitled sections. Schnitzler welcomes the listener with atonal kernels of creamy, electronic vibrato, bleeping at varying dynamic levels. The only order in this disorder is that higher frequency chords are louder, leaving the muddier, brown frequency sounds partly concealed. At least three layers of these independently originated, expressionist tides collate, but never coagulate. In the second fragment, foggy synthesizer folds are sustained and then slowly pitch-modulated. Unlike in the previous track, the very act of modulation generates melodic expectations. At some subliminal level, there does seem to lurk a barely tangible theme, but it fails to appear de iure; it remains ill-defined and then re-defined by its own shadows – the multiple variations. Each of the variation ends with longer notes, leaving behind the mood of a desolate, cloudy, open space. Electric clangs fall like raindrops hitting window panes curiously intent on rejecting the liquid particles at various frequencies. This evanescent texture is sparse and the pitches are arranged to accentuate the mutual contrast. Still, the overall timbral effect is almost childlike. Another exercise in modulation and phase shifting. The leading middle layer individuates both the bass line and the crisply sibilant accompaniment, each germinating with a different delay. A more “industrial”-sounding track based on blender glissandos with controlled sustain. Tone colors permutate between the illusions of take-off, landing and taxing. Although the context harks back to the ideas first developed on LP “Con”, the selection of effects is more balanced. Discrete pitch bending occurs around the usually avoided parts of the frequency spectrum. Rotating flywheels send out waveforms which recur in epicycles. A less prominent sub-theme explores a frail, rounded melodic theme, as if clutching at wavecrest. Fast ‘grasshopper’ tremolo is drowned out by an alternating dynamics in doomed quest of nebulous, dormant realm. The dominant velocity would outpace any other track on the record, but the gesticulation is imperfectly robotic. Another stratum of glissandos brings a dose of painfully sullied nostalgia. This is an even more atmospheric exploration of chalky textures. Sheaths of organ give rise to a rare moment of loose harmonic consonance. Another electronic landscape for stagnating sheets of lengthy notes, modulated in mid-flight. They all fade away, substituted instantly by clones whose energy dissipates in like manner. Simultaneous sizzling and rumbling epitomizes the hypnotic character of procyclical, compressed electronics. Echoey, glassy clocking and pianistic electro-chords flow through a dialogue which explores attention, dis-habituation, expectation, clearing of remorse and doubt about it all. This is a rare, modal achievement, particularly impressive given the limited toolkit involved in its creation. An essing, oscillatory web is delicately overlaid above the leading theme-building. The focus is on an eventless space, wide open terrain and visibility constrained only by atmospheric phenomena. The record closes as it opened – with abstract, a-melodic clusters, collected almost sequentially in search of the right nocturnal mood. A vague sense of solitude permeates the departures towards to the top of the staff, into ever shorter notes. Mid-range synthesizer provides some harmonic solution, but the track is cut abruptly. Did the Revox reel run out or is it another attempt to leave us pensive? The discography below encompasses Schnitzler’s output from the first 15 (analog) years of his career and does not list numerous cassettes, the material from which was later reissued on LP or CD. Positions 1, 2, 5, 10 and 11 remain my favorites. His recordings can also be found on several compilations, such as “Three Minute Symphony“ and “Hayfever“ (in the 1990s). There are countless other cassette, film and gallery materials from the era. Conrad Schnitzler’s early (1970-72) recordings overlap with his activity in bands Kluster and Eruption. Indeed, his first “solo” album can be considered a Kluster/Eruption record. The recordings of these bands are highly recommended for all the fans of vintage kraut electronics. His appearance on Tangerine Dream’s best LP was the only time Schnitzler played someone else’s music. Although the recently unearthed positions 5 and 6 are credited to Kluster, they are actually Eruption’s recordings. Many Europeans, and indeed some coastal Americans, tend to believe that little of artistic value has been produced between Lower East Side and Haight Ashbury. But the country is too large, people too well educated and communications too easy for the hinterland to remain perennially barren. Still, you would not be too far off the mark to assume that the consonant-less State of Iowa has made fewer musical contributions than, say, Colorado. And yet, jewels do crop up if you plough the cornfield before the blister phase. This compilation of recordings collected by Michael Lytle, Will Parsons, Jon English and several others seriously questions the aforementioned “coastal” dogmatism. The material ranges from cacophonous free form improvisations to vintage synthesizer excursions. At their most intriguing, the musicians experimented with aleatoric forms, forcing the participants to limit their musical communication during the recording session. One of the interesting features on this record is that often the pieces quiet down, masked by louder sections presented as separate tracks. However, the preceding composition does continue underneath, drowned by the successor bolstered with higher decibel content. Instruments whose projection is stronger in an orchestral setting – both acoustic and electronic – sometimes betray this ingenious proceeding. The stratiform treatment never disturbs, on the contrary. Little else has been heard from these musicians. I suppose that some of them ended up in academic circles. Michael Lytle moved to New York, just in time, and caught up with George Cartwright and Mark Dresser. He deserves his share of the fame and respect lavished over the years on Doctor Nerve. His clarinet contributions made Didkovsky’s project sound like a hyperspeed big band. In what is essentially a solo track, Will Parsons combines his penchant for percussive skitter, hand drum snaps and disoriented shakers with pulsating plastic clicks from moog sequencer. The first group piece based on atonal recipes for dampened prepared piano sounds (Parsons), lowly trombone (Jon English), shredded guitar chords (John Leake) and electronically processed cello (Eric Jensen). Tom Wilcox’s trumpet gets lost somewhere in the abstract cross-pollination of timbres. The amalgam of talents turns its attention to color and value formations, through random organization of unusual contrasts – Gary Gray’s mbira may be given a key part to play, but never too far away from temporizing steel drums and tender cello pizzicato. As many as three bass players (Paul Berner, Jon English and Don Roach) paint a poetic sunset of musing polychroma. Circumspect trumpet legatos sweep around in a show of restraint. …nothing. This is vinyl time, so such moments of ‘silence’ are much more expensive than the frequent oases of silent self-indulgence that mass producers of CDRs are flooding us with these days. Luckily, it does not last long. Michael Lytle dishes out a modernist pop song, cooked up in the moog, but terrestrial in nature. It is naively ‘complete’ with a pre-determined bass throb and pointlessly groovy solos compressed to high register. But he deserves to be absolved. This is 1971. Leake does appear and it is a phase-guitar piece, flanked by two basses – one acoustic and one electric (Parsons’s favorite trick?). The rhythm section imparts an ethnic jazz feel, but the shifting guitar phases splash land from another world. Despite an orchard full of shakers, the moog from the previous track can still be distinguished from the guitar-fronted jazzy mass. In what appears as the continuation of the previous cut, a guitar sustain and double bass tremolos seek correlations with ultra-fast cymbal runs. The braying guitar is of no help for the bass, lost in painful search of the right chord. An archival recording, apparently from 1967. Vintage electronics mingle with swoozing “voices”. The drummer (Parsons) is content with punctuating selected beats, leaving the remaining auralspace to phantom effects and the bass player (John Wilmet). Half-present Ken Cohea offers a few half-blows on his sax. Eight years on and Lytle rejoins on a very earthy clarinet in perpetual overblows. Eager to fly right into the top of the range he often loses projection and clarity. Roalson “helps” by scraping cymbals. One of the more memorable moments on the record is shaped unhurriedly through the otherworldly juxtaposition of woodenly-resonating mbira and chromatic harmonica. In this meeting between the cattle rangers from the wild West and the civilized West Africa, the dépaysement is complete. Pat Hazell’s tonguings on harmonica twiddle, scan and reproduce the images of parched spaciousness. Parsons adds a sparse marimba touch, in support of the mbira (Gary Gray). They are accompanied by a cello drone (Jensen) and an unlikely third idiophone – (Michael Meyers on vibraphone). The band lapses into an elegant tremolo and disappears. It was too short. A viola and marimba duo with some help from harp (Motter Forman). William Hibbard operates his viola with a slurred staccato. At the end of each slice, the marimba (Parsons) throws in a pithy commentary. 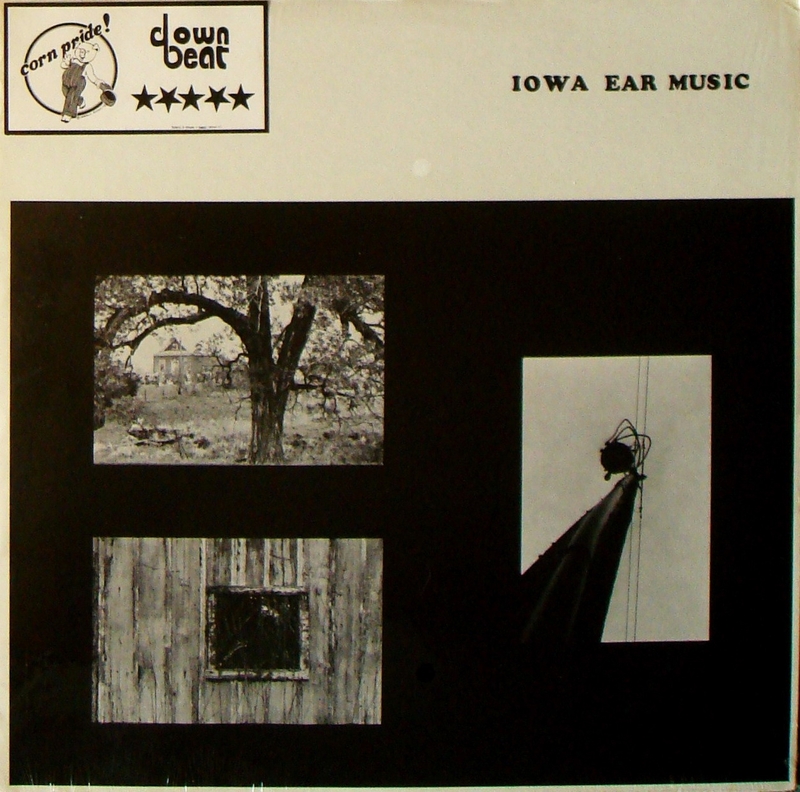 This is the first of two or three fragments that bear an eerie resemblance to the loft-jazz masterpieces from Rivbea… The guitar-bass-drums trio of Leake-Paul Berner and Parsons is joined here by two saxophonists (Larry Easter and Don Edelbrock) and two pianists (Pat Hazell on acoustic piano and Lynn Willard on electric piano). Beautifully fostered by piano tremolos the two soprano saxophones constitute a svelte duo – self-replicating between the left and right channel. The electric aura gives this fragment a “free-jazz-rock” character, aptly constrained by the musicians’ good taste: delicate hi-hat, cloudy guitar, softly arpeggiated electric piano. There is some timbral cross-dressing here. The guitar plays the electric piano part and the soprano squeezes into the guitar’s pants. This abstract canvas could extend over an entire LP side, but it does not. This is apparently Parsons on vibraphone, but little, if anything can be heard. This sure ain’t Robert Wood. A group noise piece opened by scattered piano sounds, voices, a wand patting on a piece of furniture. Lytle’s bass clarinet gropes for intonation. Mike Brawner adds extra noise on rubber hose. Clarinet, voice and piano are settling down within this makeshift, purposefully directionless amalgamate. A short song featuring Candace Natveig’s nice voice, trombone and vibraphone. A rehearsal snippet – one piano chord returns over and over again. Cymbal overtones are multi-layered beyond measure and drown it all out. A multi-tracked racket for electric bass, organ, voice, trombone, trumpet, percussion and drums – all looped around and thrown into the bucket. This apparent output of many sessions (1972-76) is not shaken, but rather carefully rotated in analog manner, as it were. John Patterson’s guitar solo vies for our attention, but it’s a foregone conclusion that our ears will rather collude with the cellulosic warmth of Parsons’s mbira. Monosyllabic vocal and gummy, wavering flute (Grace Bell) add little extra texture. Hot on the heels of some uncredited bowed strings, multiple vocal polyphonies sound rather accidental. Mark Solomon’s flute yanks and zigzags away when the drummer picks up speed, with Lynn Willard’s piano emulating the effort. This accumulation of sources spanning four years begins with long notes on tenor sax (Jon Monick) interbreeding with some bowing on acoustic bass and articulate cymbal work from Parsons. The saxophone’s improvisational scampering is mostly dissonant and it invites a whole bag of background racket. Here’s a contest – who will blow/bow higher – Charles West on his clarinet or Bruce Erwin on his violin? The assistants are at the ready to help. The violin does sound folksy, yet the clarinet steers away confidently from any klezmerite connotations. Not uninteresting. Choice Abandoned, Get a Job! Will Parsons joins the line-up in a Steve Miller-type piano accompaniment. The trouble is, Lol Coxhill’s role has been usurped by a rather traditional Dixie clarinet playing by Charles West. In one lyrical violin solo Bruce Erwin appears to relish his short E-string detachés. The piano shuts down the nostalgia, brusquely. A surreptitious Jon English on trombone and Carolyn Berdahl on cello roam in the presence of listless bass and cymbal ostinato. After an Arkestra-style expressionist tutti of soprano saxophone, trombone, tenor, flute and fluegelhorn, Will Parsons impersonates Don Moye – savoring the slow, grand buildup of percussive microtones. Don Edelbrock’s soprano sax appears the most agile in the pack and departs from the increasingly riffing surge. Gary Gray’s mbira appears in a more structural role here than previously. Tom Wilcox’s fluegelhorn goes solo, polished, mezzotint, creamy, cup- or harmon-muted. There is a sense of polyrhythmic relaxation is there. Linda Dillon’s flute and the saxophones converse with dignity. The atmosphere of “Wildeflowers” is with us again. The same, extended line-up but different music: liturgical clucking, rubbery preachings, synthesized bubbles. 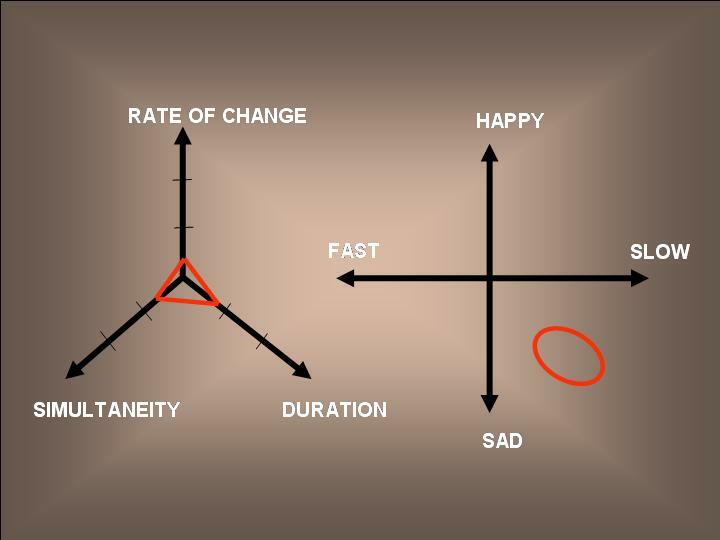 The random distribution of outcomes leaves one perplexed. A collection of excerpts from Parsons’s library of pieces for voice and “impakt percussion synthesizer”. What we get here is a dense swirl of cricket shimmer and some assorted percussion. Buzzing dragonflies, bumble bees, orthoptera and other airborne anthropods have all conspired to crap their sizzle in three or four simultaneous, multiplex layers. Bells, cymbals and triangles initially keep this concert almost “human”, but even these are later subjected to tape speed processing. These tape compositions by Lytle (1968-70) and Parsons (1976) are interesting in their use of vintage Buchla, Synthi and Moog Mark II synthesizers which were available in various academic institutions at that time. In a complete change of mood, Jon English invites us to adjust our set of expectations to his echoed trombone performing one of the 20th century musical monuments. Some sequenced “piano” sound peeps from a synthesizer, manned here by Peter Lewis. He peppers his keyboard with shortlived echo-arpeggios. Finally, perpendicular transgressions modulate the classic climate with dissonant dirt. Only the repetitive electronic throb stays on. This 1973 version is well worth investigating by all Ornette Coleman’s fans. And just about anyone else. A barely audible ditto for violin, clarinet and flute. Michael Lytle closes the record with a line on Moog Mark III. This record is unique and there is little else that compares favorably. Lytle’s small format recordings from the New York period are, by comparison, pedestrian.